Year-end planning for business owners takes on many forms, but for those that sponsor 401(k) plans, it should include a review of the company plan and preparing amendments accordingly. For AIF® Designees and advisors, that means a thorough review of the plan, including arrangements, agreements and service providers. One persistent plan sponsor challenge (that results in wasted productivity) involves terminated participants, especially former employees and/or participants now missing or unresponsive. Low-balance terminated participants can be automatically removed via mandatory force-out (Fi360 Prudent Practices® Criteria 3.2.5). The nature of these participants presents a range of issues for sponsors, as they are required to deliver formal plan disclosures and, in some cases, additional IRS and DOL reporting. Unresponsive former employees also drive up participant numbers while decreasing the average account balance, leading to less favorable recordkeeping plan pricing. Removing them in a timely manner is in the best interest of the plan sponsor. Advisors who specialize in the 401(k) market would be wise to use the year-end review as an opportunity to help plan sponsor clients address this challenge. As you strive to both maintain your current plans and identify additional business opportunities heading into 2019, removing or simulating the removal of de minimis participants can pave the way for new opportunities. Forms 5500, Schedule C and Schedule H offer insight into how many company plan participants are former employees, how much the plan is paying in administrative fees and other fee arrangements. This gives you the opportunity to present strategies that improve the plan’s numbers. In addition, advisors can ask about IRS 8955-SSA, a not-for-public form filed by the plan sponsor when a participant separates from service covered by the plan in a plan year, and the participant is entitled to a deferred vested benefit under the plan. Advisors can partner with an independent IRA rollover provider to create a cleaner, more efficient plan for a record keeper to price. Plus maintaining that partnership with the IRA rollover provider is portable between recordkeepers and can provide stability that you can trust. This adds value to current clients and will establish your value with a potential client before securing that new plan. Although the benefits are evident, many plan sponsors don’t take time to evaluate the services of an IRA rollover provider, which creates an opportunity for advisors to point out and help the client comply with their Duty of Prudence. As part of the mandatory 401(k) force-out process, when an employee leaves a company, accounts from $1,000 to $5,000 must be transferred into an individual retirement account. For accounts under $1,000, it’s generally assumed that participants will be forced out in cash, but unfortunately, this often results in uncashed checks. Adhering to that elementary thought process means missing a great opportunity to add value to your plan-sponsor client. As an alternative, recommend changing the force-out language in the plan document to indicate all accounts under $5,000 will be transferred to an IRA, with the help of an independent rollover provider. This will alleviate a major pain point for plan sponsors, as again, accounts under $1,000 often result in uncashed checks. Whether the terminated employees can’t be located or simply aren’t being responsive, they and their assets are still officially part of the plan until those checks get cashed. The best way to attract and retain clients is by continuing to add value year-over-year. Implementing strategies to address the missing participant issue, deal with uncashed checks and institute a totally free solution by forcing out all accounts under $5,000 into an IRA creates good will among current clients, strengthens your role as a trusted advisor and enhances the value that can be offered to potential clients. 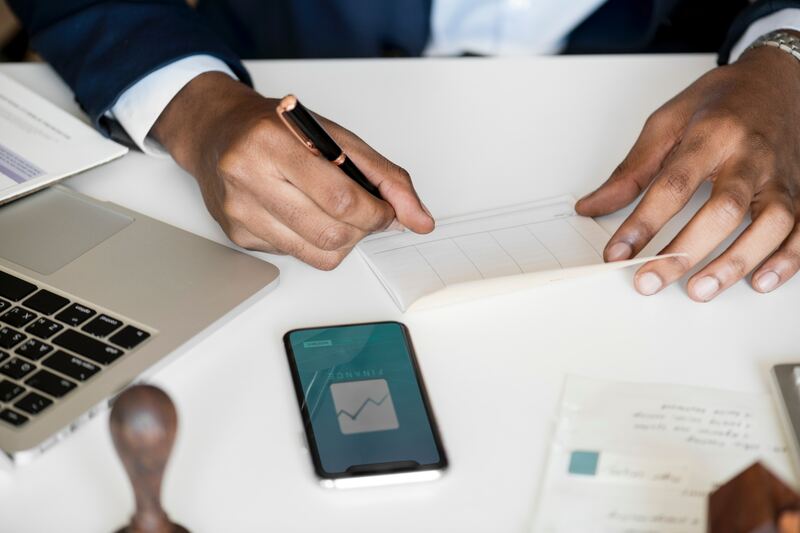 The two major factors that typically figure into a recordkeeper’s cost analysis/pricing for a 401(k) plan are: the number of participants and average account balance. Removing low-balance terminated participants results in fewer participants, while simultaneously increasing average balance among remaining participants. Decreasing the former and increasing the latter offers a great scenario to obtain a better price. It also helps adhere to several Fi360 Practices and Criteria regarding Monitoring. Both objectives can be achieved by rolling over all accounts under $5,000 into an IRA. Furthermore, uncashed checks can lead to fines from the DOL since sponsors have a fiduciary duty to act in the best interest of all plan participants. Such audits can result in fines that may cause the sponsor and recordkeeper to argue over who should pay, with you getting pulled into the middle. Implementing automatic IRA rollovers helps avert this type of contentious situation that can jeopardize client relationships. AIF Designees subscribe to the Prudent Practices®. Such practices mandate due diligence in all aspects, including reviewing service providers and agreements. As a good rule of thumb, it is generally better to use an independent auto rollover provider separate from the bundled recordkeeper. Many large bundled recordkeepers like to move low-balance, terminated participants into their own IRA product and will not accept accounts under $1,000 or be proactive in locating missing participants. Recordkeepers could also enter into an exclusive arrangement with an IRA provider who is paying the record keeper for transferring accounts. In the latter, the recordkeeper may be acting in a fiduciary role by selecting a single provider and not offering the plan sponsor any alternative. Moreover, said revenue arrangements should be disclosed as they represent a possible conflict of interest. From all of these perspectives, and as an AIF® Designee and advisor, you should help your clients comply with their fiduciary obligations and provide comparisons to aid in their due diligence. In your annual meetings, reviewing the auto rollover IRA solutions should be added to your standard benchmarks and ensure your clients are following their document by removing terminated participants regularly. The evidence supports that partnering with an independent IRA rollover provider is a winning proposition. 4.4.1 Who is being paid what? Mark Koeppen is Senior Vice President of Strategic Rollovers at FPS Trust Company in Centennial, Co.
Don't forget to check out Fi360's webinar on mandatory force-outs on Tuesday, October 16 from 2:00 - 3:00 PM E.T.